TidalScale is the leading provider of Software-Defined Servers that simplify the way companies can flexibly apply computing resources to problems. TidalScale solutions deliver in-memory performance at any scale, are self-optimizing, use standard hardware and are compatible with all applications and operating systems. TidalScale makes it possible for more organizations to draw insights from big data faster, more easily, and with greater flexibility than ever before. 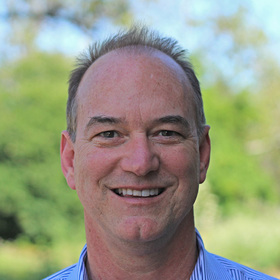 Gary Smerdon is President and CEO at TidalScale. He is an accomplished executive with a proven track record of being a difference maker — identifying opportunities and driving the successful business execution. As the EVP & Chief Strategy Officer of Fusion-io, Gary led the development of the company strategy and drove the $1.3 billion dollar acquisition of Fusion-io by SanDisk. Gary was SVP and GM of the Accelerated Solutions Division at LSI, an internal startup he founded and led to over $100M in two years. Gary has been a visionary throughout his career having been directly involved with the first high-speed personal computer and conceived and executed on the breakthrough concept of networking as standard feature in PCs. Gary holds three patents and is a graduate of Duke University with a BSEE.